I’m not going to sit here and tell you that there’s a reason Roelly Winklaar didn’t go to Columbus and beat everyone on stage for the win. I love The Dutch Beast and I definitely think he’s a Top 5 bodybuilder without question. Two or three years ago, such a statement wouldn’t have been a huge compliment, but nowadays, with a new Mr. Olympia and very competitive physiques from the likes of Brandon Curry, William Bonac, and Roelly Winklaar, being in the Top 3-5 is truly a milestone. By today’s standards, given the extremely competitive nature of the sport, I can’t say with any degree of certainty that Phil Heath will ever compete again, that we’ll see Dexter in the Top 5, or that the reinvented look of Big Ramy (under the wing of Neil Hill) will bear any fruit. This is a whole new landscape, but that all being said, while I had Brandon Curry winning, I had Roelly second, and Bonac 3rd, as my prediction. That clearly wasn’t the outcome and even 1-2 weeks out, I reported on The Iron Duque Speaks, that rumors were swirling that Roelly might not even do The Arnold. True to his word, he got on stage and he gave it his all, but he was clearly not at 100%. According to Roelly, he underwent minor knee surgery earlier in the year and also contracted a food virus while guest posing in Nepal. As a result of those two incidents, Roelly let his fans know he felt very bad for his outing in Columbus, last week. What does this mean for the future, how have the fans reacted, and where do I see Winklaar in terms of the 2019 Olympia? Telling the truth is always the best course of action, in anything you do. 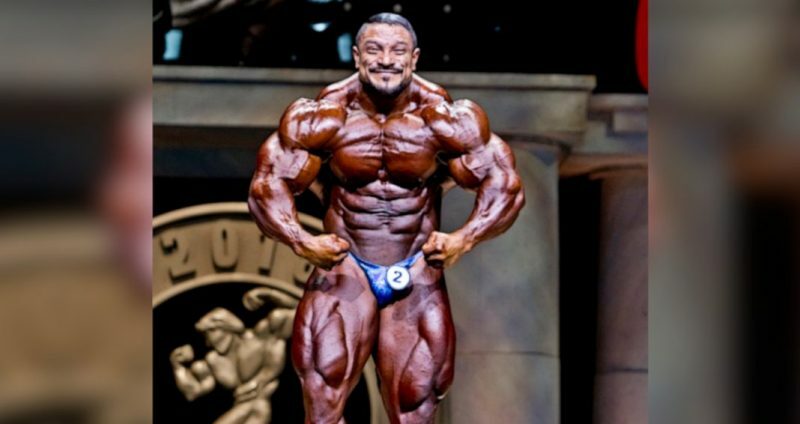 Roelly could have done like other champions and laid the blame on others, he could have elected to live in denial, or he could have been honest with the public. Food poisoning is extremely common and several folks who travel the world come down with these symptoms. Bodybuilders, especially on prep and especially prepping for a huge contest like the Arnold, need to be able to switch up their diet on that the drop of a hat. If an athlete can’t eat, they can’t maintain muscle, and they will have a lack of energy. Many of these food viruses are incredibly taxing, they can leave a person dehydrated, delirious, and in utter agony. No one can train under those conditions, keep food down, stay hydrated or even sleep a normal night’s sleep. The fact Roelly still competed, speaks volumes about how seriously he takes competing and how much he respects the stage and the fans. The stomach illness aside, Winklaar also openly concedes that knee surgery affected his leg training and that’s a key body part, as most Bonac fans are crying for holy hell that Bonac’s legs bested Curry’s and that that should’ve been the deciding factor, allowing him to successfully defend his title. Bodybuilding isn’t a leg competition, but legs are the largest muscle of all, and a key factor in determining a champion. Truthfully, all it took was one look and fans could see a dramatic difference between Roelly’s wheels last week in Columbus and last year in Vegas, where Roelly won the People’s Choice award.and took a strong 3rd place behind Phil Health and Shawn “Flexatron” Rhoden. With regard to Roelly’s explanation, the fans have been extremely understanding, because there’s no better explanation than the truth. Roelly didn’t have to take to his social media and he certainly didn’t have to apologize for anything, but he did. Do you guys remember who else has apologized for a bad look? None other than Big Ramy. The fact a top athlete apologizes doesn’t mean he has low self-esteem or that he’s trying to impress anyone, rather, it shows humility. Up until last September, the sport was led by a guy who’d block anyone who criticized him, who traveled with a large entourage, and who felt the need to remind us all how smart he was, how educated he was, and how gifted his physique was. Guys like Roelly and Big Ramy, they apologize to the fans when they don’t look their best, and that’s why the people love them. Being a man’s man should be a big part of what being a great champion is all about. So Roelly had a bad outing, who cares? He’ll be 100% for the next show, he’ll be a 100% for the Olympia, and he’ll continue to move up the ranks, see the world, and grow the sport of bodybuilding. That’s just it folks, it’s all about the future. What happened in Columbus will be big news up until the next contest, by April or May, it’ll be old news. Roelly’s chances for the Olympia are just as strong as they were in Vegas last year. If anything, a little misfortune has a way of lighting a fire under someone on this level. We’d never wish this on anyone and it’s sad it happened to such a great guy, but that aside, Winklaar is probably hungrier, now, than ever. As soon as he’s 100% healthy again, training legs at 100%, this guy is going to be more dangerous than ever. The one thing I wouldn’t like to see, is Roelly get back on stage before the Olympia. While I’m sure there’s a fire lit (as we speak), this is a man who took 3rd at the Olympia, who’s got a huge fan base behind him, and who is automatically qualified for the 2019 Olympia. What he should do, is nurse his knee, do plenty of traveling and guest posing appearances (make lots of $$, too), and when the time comes, hunker down and prepare for the biggest contest in bodybuilding. There’s nothing to stop Roelly from repeating his 3rd place finish and I’m quite confident he’ll be a fixture of the Olympia Top 5 for many years to come, maybe even winning a Sandow in time. I do believe Rhoden will successfully defend his Olympia title in 2019 and I do believe Curry will be runner-up, but could Roelly beat them both? There’s no question he could. In fact, I think Roelly Winklaar is probably hungrier, now, than ever before. I just think he needs to really think Big Picture. Previous Previous post: Arnold Classic Men’s Open Recap: Brandon Curry on the Rise? Next Next post: Bodybuilding Wins with the Arnold Classic Australia!